But when can us Brits get hold of one? US release date for Star Wars-themed blower, but still no word on global version. 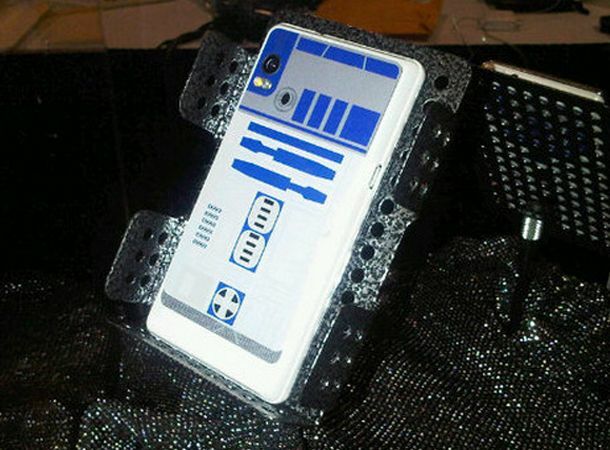 Motorola and US network Verizon have slapped a 30 September release date on the awesome R2-D2 Droid. The Star Wars-themed phone is being beamed in from a galaxy far, far away next month, but an international release remains unlikely. The R2-D2 Droid packs in the same specs as the newly released Droid 2, with 8GB of internal storage, a 3.7-inch touchscreen, QWERTY slider, 1GHz processor and 5 megapixel snapper. And just like the standard Droid 2, Moto is keeping schtum about whether a GSM version is being primed for gadget lovers outside the USA. W're hoping so, because we haven't craved a phone like this in ages. For all the latest gadget news, stay tuned to our Facebook and Twitter pages.